During my days living in Hawai’i I ate a fair amount of shrimp. Those shrimp shack takeout stands make a wonderful plate lunch, enjoyed with the sound of the ocean in the distance. But the best thing of all was the story behind the only shrimp shack that was run by a woman on the Island of O’ahu, Big Wave Shrimp. It had been her life long dream to run her own business, but it wasn’t really heard of to do so at the time. Luckily she had a very supportive husband who spent all his savings buying her a truck to turn into the Big Wave Shrimp shack. Many years later, the truck still operates on the North Shore, serving up plate after plate of her famous coconut shrimp to locals and tourists alike. 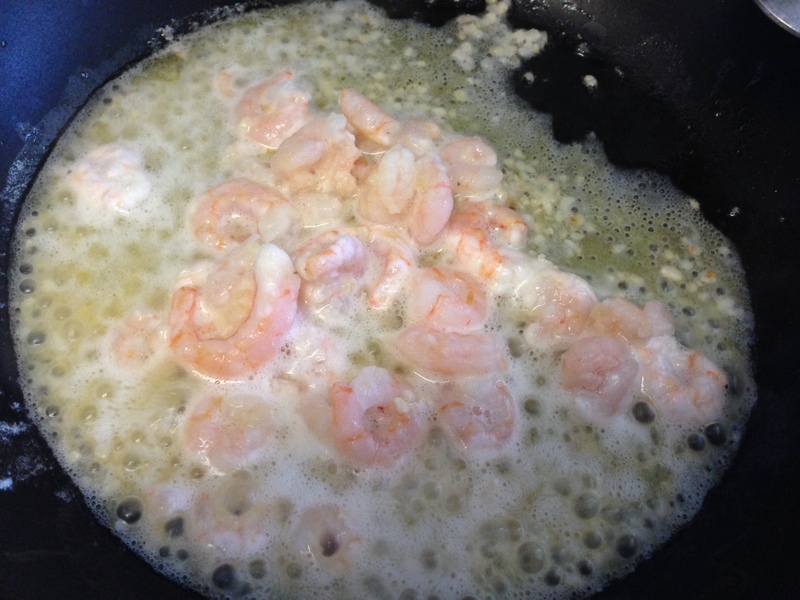 With that I have set myself up for a challenge–and I don’t proclaim to beat her recipe by any means–but this is a little taste of the coconut shrimp flavor I so vividly remember. In a medium saute pan, melt the butter over medium heat. Add the garlic and stir before adding the shrimp. Continue to cook on medium heat until the shrimp is thoroughly heated, then sprinkle the shredded coconut over the shrimp and cook for another few minutes, stirring often, until the coconut begins to brown. Add the coconut milk, stir and let simmer for a few minutes before sprinkling with crushed black pepper, as desired, and enjoying warm. This recipe sounds delicious, but the word “infamous” means known for a bad reason. You might want to change that in your description. Thank you for all the recipes!